Sushi Enya is located in Little Tokyo in Downtown Los Angeles. I’ve passed the sushi-ya plenty of times during the day but never went in because it’s only open in the evenings. One night before a show at the Music Center, we headed in for some sushi. Enya might be best known for their lemon roll. With that said, they have lots of rolls to choose from. I rather eat simple nigiri and gave that a whirl. As it turns out, that’s apparently “no fun” and you should try the rolls which show off Enya chefs’ creativity. 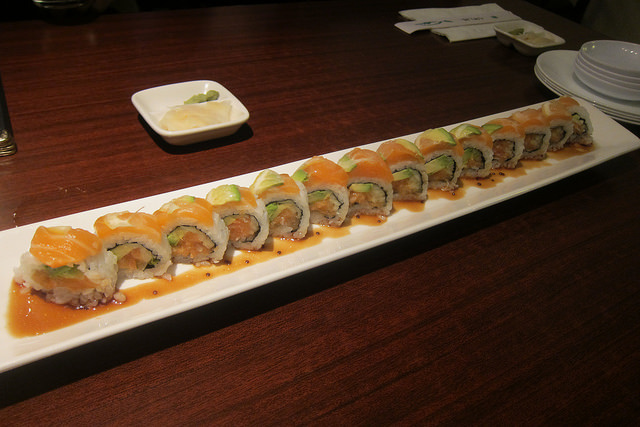 The lemon roll is a favorite because of the balance of tart citrus with sweet fish. It doesn’t hurt there’s avocado. Avocado automatically makes all food 100 times better. Enya does have a seared sushi set which was a pretty good deal. 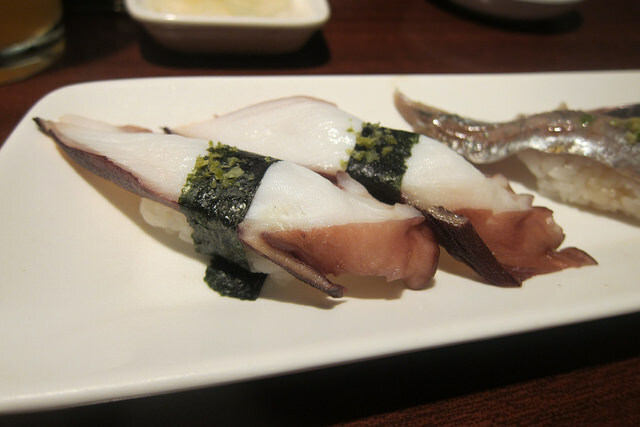 I liked the seared squid best since I tend to like cooked squid more anyway. The fatty pieces also benefited from the light torching. 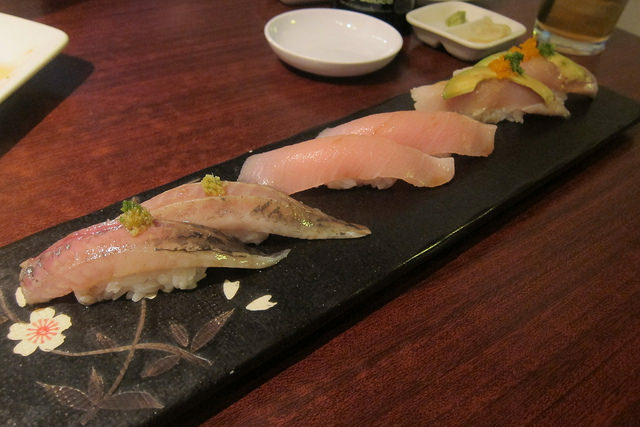 Some of the better sushi were the octopus and Spanish Mackerel. 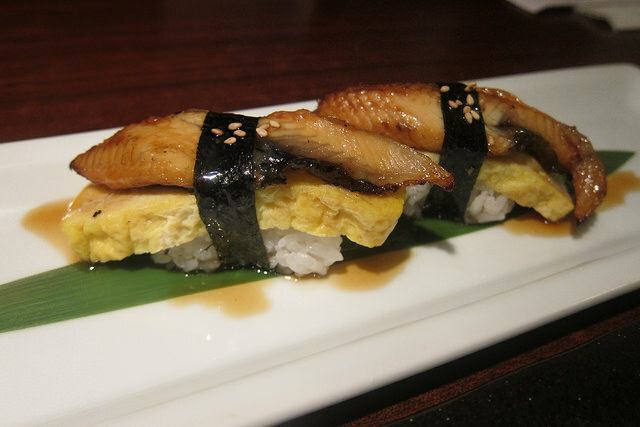 My friend really liked her unagi and egg nigiri. And finally, what did I say about avocado? Get some on top of your albacore and it just kicks up everything a notch or two. We were a group of four but I would be interested in coming back to sit at the bar. It’s a very intimate and small restaurant so it’d be nice to get to know the sushi chefs. 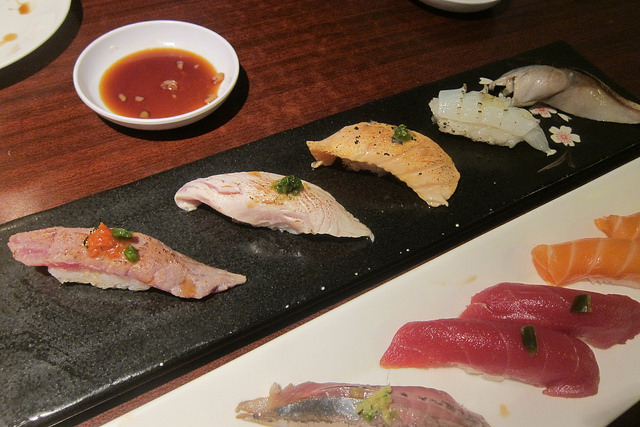 But if you want to stick to traditional and perfect sushi, stick to Toshi Sushi or Sushi Gen.